Hello friends!! Dropping by with a couple of cards I made using some yummy Verve stamps and two of the May Viva La Verve sketches. 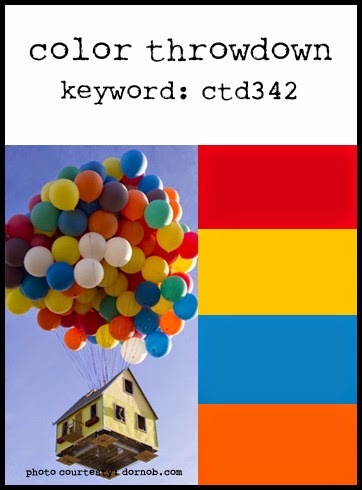 I used the current ColourQ combo for one of the cards so I will be posting that one there, as well. I think I will also add one of them to the current Simon Says Stamp Wednesday challenge (anything goes). First up is the card I made using the VLV week 4 sketch. For this card I used the Verve set One Cup, a couple different Verve dies (the cups that match the One Cup set and the banner from the Flag It die set) and some patterned paper from a Stampin Up! paper stack. Love the fun, bright colors in this one. I added some Crystal Stickles to the little cups for a bit of sparkle (unfortunately it looks a little funny in the photo!). 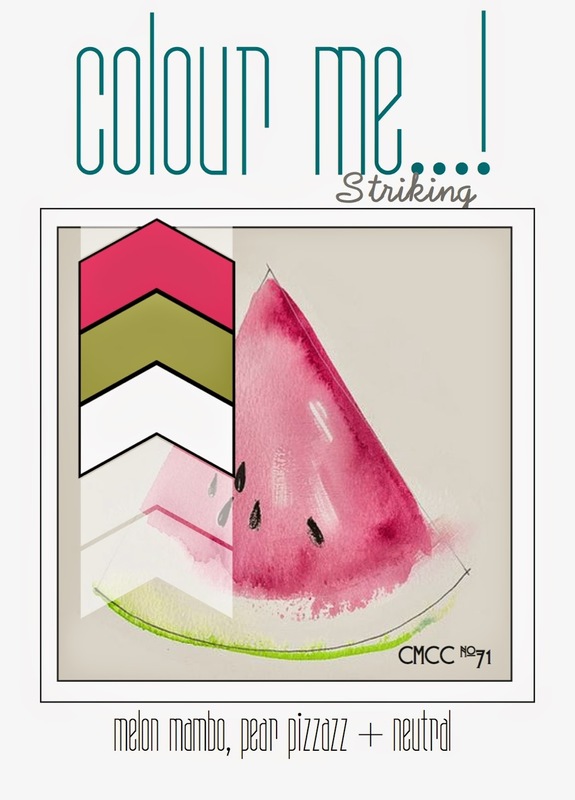 The second card is for VLV week 5 sketch, as well as ColourQ. When I started making the card I thought I might have a problem combining the different patterned papers I was going to use, but I actually got a combination I liked on the first try... YAY!! The Verve set I used for this card is the Poppy Birthday and matching dies. Got everything adhered and then went to work on the sentiment strip. I used one of the PTI Stitching Lines dies (I think that is what it is called) to create the holes for my stitching. I stamped the sentiment and then added the stitching using thin orange hemp twine. The flowers and leaves were cut and stamped using inks matching the patterned papers. Hey friends!! Wow... we are having some spectacular weather right now and it looks like it will extend into the weekend!! Love having this lovely weather! But to be honest it has put me in a bit of a creative slump (I want to be outside!!)! I'm hoping that all the lovely happy mail today will help me out of it. So I busted out some of my new things and made this little card. 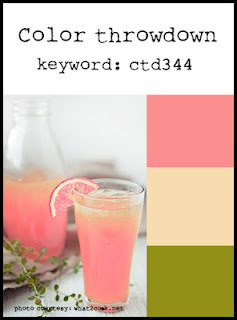 The layout is based on the current sketch from Freshly Made Sketches and the colors are from the current Color Throwdown challenge. I'm also going to post this to the current Simon Says Stamp Wednesday challenge (anything goes) and Word Art Wednesday (anything goes). Most of the happy mail I received came from Simon Says Stamp and I used the lovely stamp and die set called "Lovely Spring". I followed the FMS layout pretty closely except I decided to use the wreath image instead of a square. After die cutting the wreath I placed it on my cardstock piece so I could position the sentiment properly. After stamping the sentiment I placed the piece in a woodgrain embossing folder and did some partial embossing. Layered up all the little die cuts and I was done. Simple, but rather sweet I think. Hey friends!! Popping in with a card that I made for several challenges, Essentials by Ellen Pin-sights, Sweet Sunday Sketch and Simon Says Stamp Monday challenge (thank you). The inspiration board for the current Essentials by Ellen pin-sights challenge is full of beautiful floral images. Good thing I do own one Essentials by Ellen floral set! I tried my hand at some more water coloring and I have to say that I'm really happy with how things turned out. I stamped the smaller scribble flower and leaf on some Ranger water color paper using VersaMark watermark ink, applied white embossing powder and heat set. I then colored the flowers with two shades of light pink and the leaves with a light green ink. The panel was then die cut using my Lawn Fawn speech bubble border die. The larger scribble flower and leaves received the same treatment and once finished were die cut with the corresponding dies. A plain white panel was trimmed down and the word "thanks" (from the Essentials by Ellen Fancy Thanks set) stamped in black ink. I attached the water colored piece and then adhered it to a neutral card base. Hey friends!! Happy Memorial Day weekend to everyone here in the US! Hope everyone is having a lovely weekend. My niece is here visiting from California and I should get to see her tomorrow!! YAY!!! I received some happy mail today in the form of some yummy new Reverse Confetti stamp sets and a die. 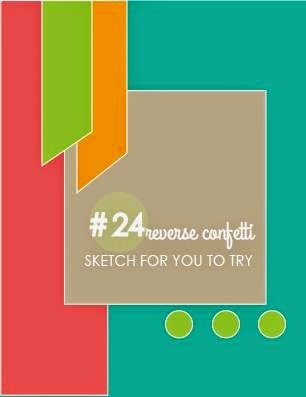 I have been waiting on them as I really wanted to use one of the sets to make a card for the May Reverse Confetti Sketch for You to Try. I'm also posting this to the current Word Art Wednesday challenge (anything goes - family friendly... I think this is a pretty family friendly sentiment!). The set I was waiting on is the newly released set called God is Good. When I saw God is Good and the beautiful sentiments in the set I just had to have it. In addition to my Reverse Confetti "happy mail" I also got some lovely new Stampin Up! products and I used one of the paper stacks I got for my card. The banners and the main panels were die cut using the RC Confetti Cuts Tag Me and Love Notes. After trimming down the two little banners and adhering them to the card front. I added a little button and twine embellishment. I used the sentiment "Let your faith be bigger than your fear" and stamped it in VersaFine black on the white panel. I don't know about you, but there are times when I need to let my faith be bigger than my fear and will admit that it can be hard to do that because I think it is in our nature to worry. But once I let go of the fear and just let God handle things everything works out so much better!! Hello friends!! Have a little card to share that I made for several challenges: Freshly Made Sketches (layout), Colour Me...! 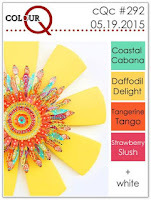 (colors) and Simon Says Stamp Wednesday challenge (use a stencil). A few weeks ago I finally got a jar of embossing (or molding) paste. When I saw the SSS Wednesday challenge I finally had an opportunity to put that embossing paste to good use! I started by coloring a small amount of the paste with some teal ink and then used the Simon Says Stamp Tiny Spaced Hearts stencil to create the background. The flowers (from the SSS stamp set Artful Flowers) were stamped on water color paper using VersaFine Vintage Sepia ink and then water colored using yellow and green inks. My water coloring skills need some work, but I'm pretty happy with how the flower turned out. As you can see I used the green flower as leaves for the yellow flower. I added some Crystal Stickles to the center of the flower for some sparkle. The label was die cut using a Simon Says Stamp die. Layered everything up and I was done. I also posted this to the current Simon Says Stamp flickr challenge to create your own background. Hey friends!! Popping in today with two cards for two different challenges... CASology where the cue word is wedding and Dies R Us where the challenge is to make an anniversary card. Earlier this month I got the Simon Says Stamp May card kit which is perfect for wedding and anniversary cards. I don't have any weddings to attend, but I just fell in love with the kit when I saw it so I had to have it. I used it to create my two cards. First up in my card for CASology. There is absolutely no stamping on this card. I used different bits and pieces from the kit to make the card. In fact the two strips along the side of the card are from the piece of paper from the kit that I used to create the second card. I used a banner and word strip from the kit, a circle punched from cardstock and some gold metallic twine to create my little sentiment embellishment. 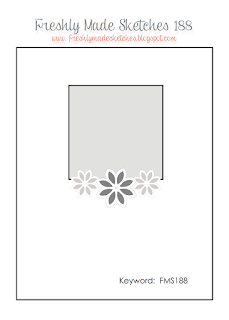 The white cardstock partially embossed before I added the two paper strips along the one side. One corner was rounded and the piece was then mounted on a dark grey cardstock base. The second card is for the Dies R Us challenge. They are celebrating their 1st anniversary and so the challenge is to create an anniversary card. I think this card would be perfect for a golden anniversary card or any anniversary really. I die cut the patterned paper using the Lawn Fawn Speech Bubble border die. The "congratulations" from the Simon Says Stamp set "Congratulations" (it is part of the May card kit) was stamped using VersaMark watermark ink, gold embossing powder applies and then heat set. The bottom paper is also from the SSS May kit. Love all those fun gold foil embossed diamonds. I adhered just a strip of that to a cream cardstock panel and then added the sentiment portion on top using fun foam instead of foam dimensionals to give the piece more stability. The panel was then attached to a cream cardstock base. Hey friends!! Popping in with a card for a couple of challenges... Colour Me...! and Essentials by Ellen Mix It Up. This time the Mix It Up challenge is asking participants to make a project using Essentials by Ellen stamps and/or dies and Avery Elle stamps and/or dies. For this card I used the Avery Elle set Thanks a Bunch and the Essentials by Ellen set Fancy Thanks, as well as the Avery Elle Dotted Elle-ments die. I love having a die that will cut cardstock to the right size to fit the front of an A2 card. It provides a really nice finished look that you just can't always get when you cut cardstock with your paper trimmer. After stamping all the elements for the bouquet using Melon Mambo and Pear Pizzazz inks I added the sentiment from Fancy Thanks using VersaFine Onyx Black ink. Some Crystal stickles was added to the flower centers. I used some Stampin Up! Sahara Sand cardstock for my card base. 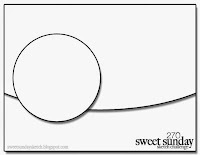 Just like with Simon Says Stamp Fog cardstock, Sahara Sand is a nice neutral that really makes the white panel pop. ETA: Adding this to the current Paper Players challenge: CAS "girly thank you". Hello friends!! Hope you are enjoying your weekend! 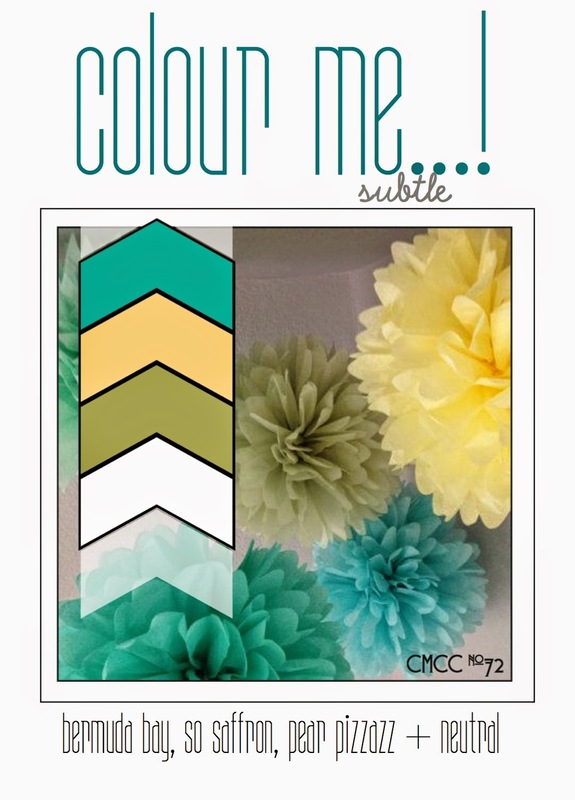 Have a little card to share that I made for two challenges, Viva La Verve week 3 and Colour Q. I love this week's VLV sketch... clean and simple... right up my alley! I used two Verve sets for my card: Better Together and Teachers Count. Teachers Count is one of my favorite Verve sets. I love it because of the wonderful sentiments, as well as those cute little apples! I die cut the apples using the matching apple dies and then stamped them using red, yellow and green inks. The sentiment panel was die cut using a die from the A Jillian Vance Design Polka Dot Rectangle Backdrop die set. The mixed media looking border image is from the Verve set Better Together. That was stamped using medium blue ink. 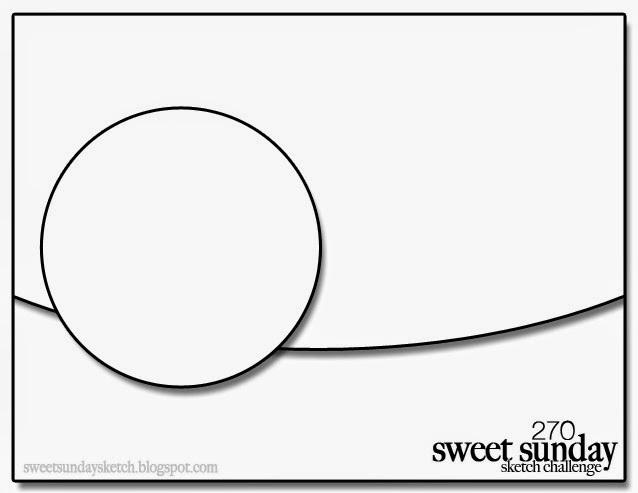 The sentiment panel was adhered per the sketch and then the apples. 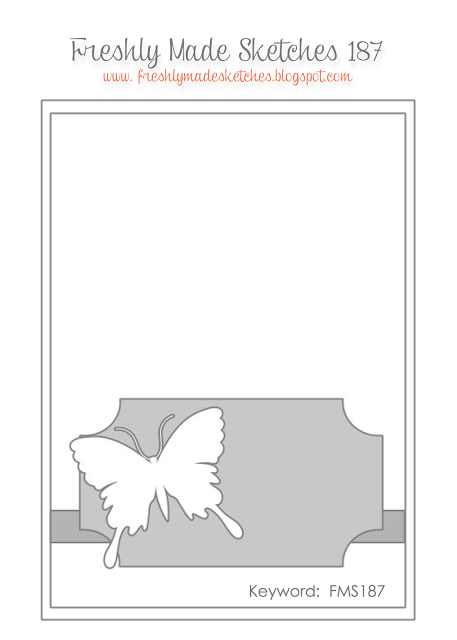 The card base is Simon Says Stamp Fog cardstock. I just love how the Fog cardstock looks with white. Unlike the card that I posted the other day this card makes me happy, happy, happy!! Hey friends!! 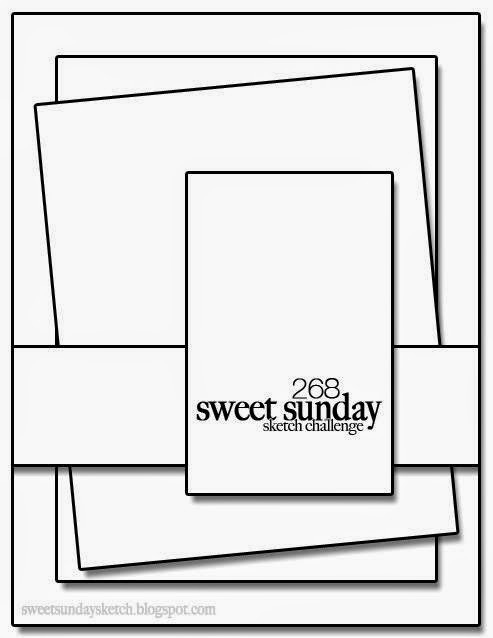 Popping in to share a card that I made a few days ago for a couple of challenges: Color Throwdown and Sweet Sunday Sketch. The stamps used are from Reverse Confetti, Color Me Happy and Beautiful Banners. When I got Color Me Happy I thought one of the brush stroke images looked like a candle so I used that along with a splatter image to create the candles. I did some partial embossing of the cardstock I used and then added some clear Wink of Stella to the "flames", but you can't see it in the photo... should have used Stickles. Since there wasn't a good spot to stamp a sentiment I added that to the middle candle. I think my idea to use the brushstroke as a candle turned out pretty good, but I must admit that I'm not really happy with the card. There is just something off about it, but I can't quite put my finger on what the problem is. Anyway, I made it (good or bad) so I'm posting it! Hey friends!! Popping in with a quick post today. Made this sweet little birthday card using some Simon Says Stamp, Avery Elle and A Jillian Vance Design products. 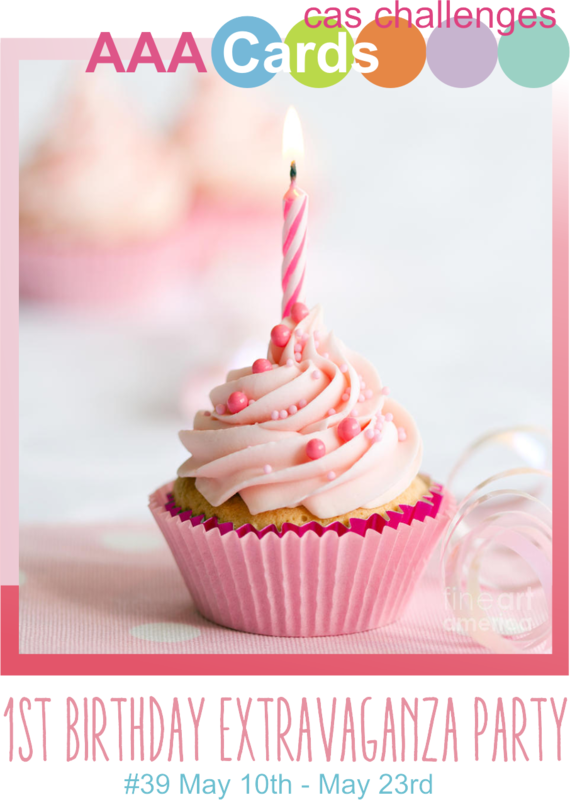 I will be posting this to the current Simon Says Stamp Wednesday challenge (use a lovely color palette) and AAA Card challenge (their 1st birthday celebration). I also posted this in the Simon Says Stamp flickr challenge (#18). ETA: Last minute add to the Simon Says Stamp Monday challenge: use SSS products. This card turned out pretty much exactly how I envisioned it would! Don't you love it when that happens?? I do, lol! 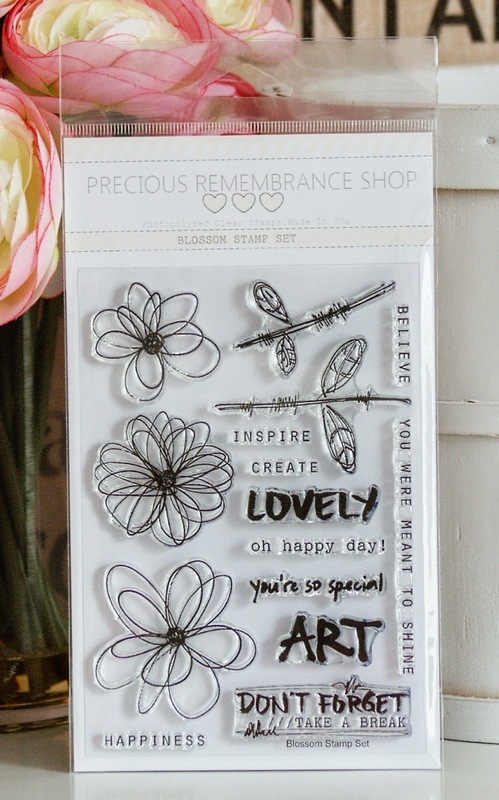 The flowers were created using the Simon Says Stamp Scribble Flowers stamp and die set. The main panel was die cut using the Avery Elle Dotted Elle-ments. 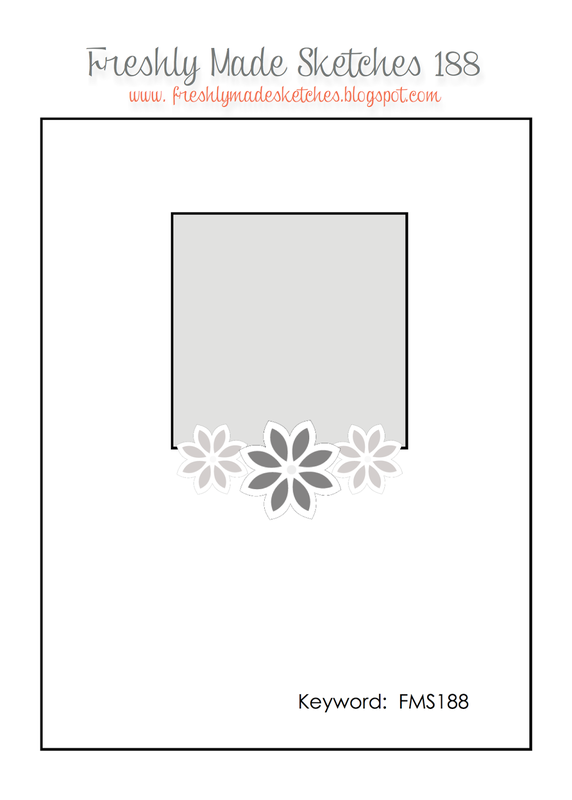 Die cut all the flower pieces, stamped them and then layered. I finished the card using this sweet little sentiment from the A Jillian Vance Design stamp set Showers of Blessings. Would you look at those yummy inspiration photos?? Makes me want to head over to our totally awesome local cupcake shop, Hello Cupcake, and pick up some yummy cupcakes!! 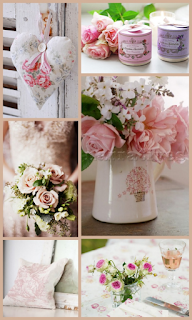 A Jillian Vance Design and Precious Remembrance Shop!! Hello friends! Popping in with a little card that I made for a few challenges, Viva La Verve week #2, Verve Let It Bloom Diva Inspiration challenge and ColourQ. Taking my cue from several of the Verve Divas I used the Verve Poppy Birthday set, as well as the Verve set On Occasion. The poppies were die cut using the matching Build a Poppy die set. This card took me a long time to make because I really had to hunt around through my patterned paper to find a pink that was a good match to the pink ink that I had used. With all the patterned papers I have you would think it would have been easier, but it wasn't, lol! Finding the aqua polka dot paper was far easier since I didn't have to match it to anything. After cutting and stamping all the flowers, I roughed up the edges a bit and then stacked them. A little bit of embossing was done on the bottom of the cardstock panel and the edges of all the papers were roughed up a bit, too. I used some kraft cardstock for my base. The two larger poppies look almost exactly alike in the photo, but they really are two different colors! I will be giving this card to my mom for Mother's day. Thanks for stopping by... hope all the moms here in the US have a very happy Mother's day! Hellooo PRS fans!! Today is a happy, happy day!! As I speak you can purchase for yourself the brand spankin' new PRS set Blossom from the PRS shop! And the design team has lots of inspiration to share with you today using this beautiful new set. Make sure you leave some love on all the design teams post for your chance to win your own set! All the deets regarding your chance to win will be at the end of my post. You should have gotten here from the Precious Remembrance Shop blog, but if you didn't... make sure you head over there because I know that Dyane (owner of PRS) has some gorgeous projects to share with you!! I cannot tell you how excited I am to have a floral PRS set. This set will work extremely will all the PRS set that you currently own... YAY!! I love that you can color the flowers using all types of techniques.. think Copics, watercoloring, etc. I cannot wait to share projects using those techniques. Another technique perfect for these flowers is paper piecing and that is what I used for my card today. I used some soft patterned papers from the My Mind's Eye On Trend 6x6 pad. I die cut two banners, one from patterned paper and one from vellum. The sentiment was embossed on the vellum banner using gold embossing powder. I used a die that creates stitching holes across the top portion of my white cardstock panel and then stitched down the banners using gold metallic thread. Some partial embossing was done in one corner of the panel and gold Stickles dotted on. I stamped one of the flowers on the soft sage patterned paper using VersaMark water mark ink, applied gold embossing powder and then heat set. It was trimmed out and adhered to the banner. Love how it turned out. The partial embossing is a bit hard to see so I have included a detail shot of that, as well as a photo of the Blossom set. Your next stop on the hop is my wildly talented and super sweet teamie, Lisa! I know Lisa will have something beautiful to share with you! So... make sure you leave some love at each stop on the hop. Commenting for a chance to win will close on Sunday May 10th. If want to keep up to date on all PRS happenings please join us on Facebook, Pinterest and Instagram. Hello!! Popping in with a quick post. Sharing a little card that I made using some yummy Teresa Collins papers and a stamp set from Verve called Small Packages. The layout is based on the May Viva La Verve week one sketch. Because I have such a small space to craft in I generally make sure that I put things away once of I have finished up my project, but the pad of Teresa Collins Nine and Co. papers seems to keep making it way back out the kitchen counter so I think I'm going to stop putting it away, lol!! 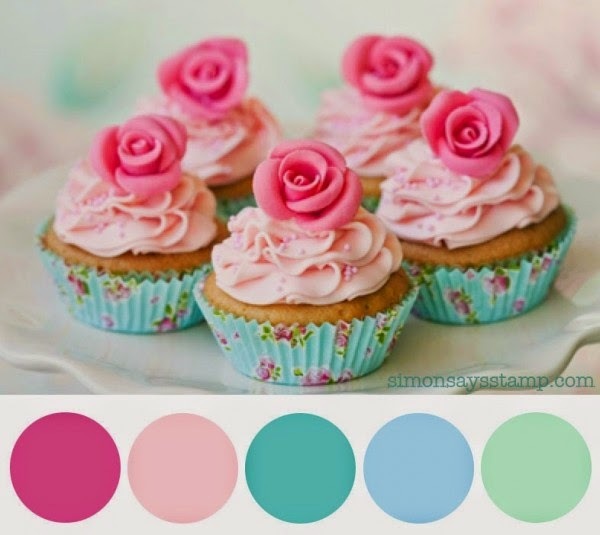 I just love the soft pretty colors and can't resist using them. After pulling out several different patterns I got to work. I stamped the cupcake on two of the papers and did a little paper piecing. I added some clear Wink of Stella to the cupcake, but it doesn't show up... darn! 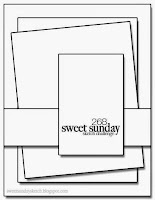 Anyway... cut some of the pieces per the sketch, but the panel with the cupcake on it was die cut using the Cupcake Frames die set that coordinates with the Small Packages stamp set. The edges of all the papers were roughed up a bit before laying everything. Finished it with a bow tied with some PTI Melon Berry ribbon. I haven't tied a piece of ribbon around anything in ages... almost thought I forgot how, lol!! Posting this to the new Simon Says Stamp Monday challenge: Don't Abandon Coral. 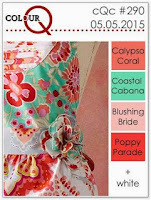 Lots of coral on this card wouldn't you say?? Hello friends!! Popping in on an absolutely gorgeous day here in the Pacific Northwest!! The sun is shining and the skies are blue, blue, blue!! 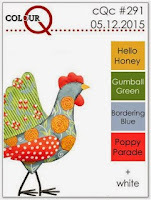 Have a couple of cards to share that I made using Stampin Up! stamps and inks. Thanks to Kimberly I discovered a new challenge blog called TGIF Challenges. Their first challenge is a color one and since I love color challenges I just had to play along! The other challenge I'm playing along with is one of my favorites: ColourQ. I pulled out some of my very favorite Stampin Up! sets and got to work creating the two cards using my favorite stamping technique: collage stamping. First up is my card for TGIF. For this card I used Kinda Eclectic, Gorgeous Grunge and Yippee Skippee. I don't have Crushed Curry so I used Hero Art's Butter Bar for my yellow. After stamping everything I added a few bits of washi tape to finish things off and the sentiment from Yippee Skippee in black ink. I used a Sahara Sand card base instead of my usual white... trying to mix things up a bit, lol! The second card uses older Stampin Up! sets called Bliss and Artistic Etchings, as well as Gorgeous Grunge. The sentiment is from Kinda Eclectic. 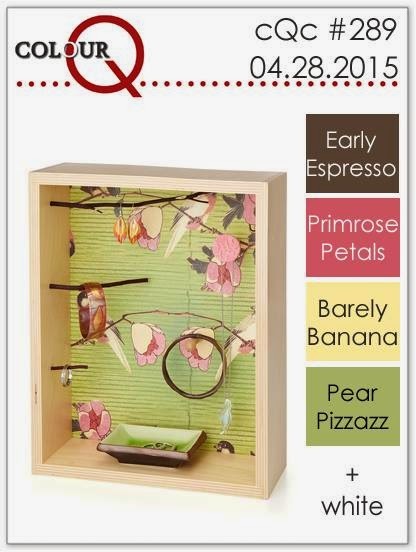 The ColourQ combo is Pear Pizzazz, Barely Banana, Primrose Petal and Early Espresso. I only used Early Espresso for the sentiment and no it didn't stamp really well, but I'm okay with it! Again, I used Sahara Sand cardstock for my base instead of white. ETA: Posting to Simon Says Stamp Wednesday challenge: Anything Goes.